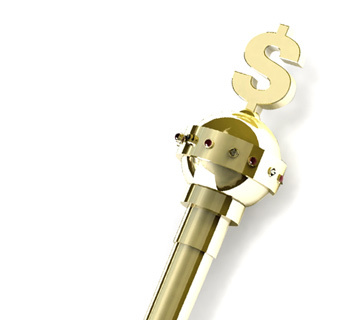 What is a "straight" in the game of poker? 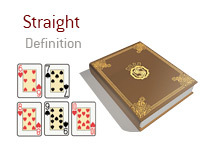 What is the definition of the term "straight" in poker? In poker, a "straight" occurs when you have five consecutive cards of any suit. For instance - let's say that you are playing No Limit Hold'em. You are dealt 6h-7s in the BB and check when the unraised action gets around to you. The flop comes 8h-9s-10h, which gives you the 10-high straight (your two cards create the 6-7-8-9-10 straight). In this situation, you have the second best possible hand - you would only be beaten if somebody else at the table was holding J-Q for the Queen-high straight. You are sitting in a $1/$2 No Limit Hold'em game at your local casino. Action folds around to you on the button, and you look down at pocket Aces. You raise and receive calls from both the SB and BB. The flop comes Jh-Qh-Ks. The SB checks, the BB checks, you bet and both players call. However, the two other players will also make a straight if they are holding an Ace. The two players check once again. You bet, and they both quickly fold.